The bane of every home inspector’s business is the unethical distribution of our reports to subsequent potential buyers. Many inspectors see it is as a scourge that plagues their ability to generate revenue. It afflicts inspectors to the point where they threaten reporting the distributor, or even taking legal action against the user of the report! Don’t expect any interpretation, analysis, or comments on a report, after revealing to the inspector you have stolen his “intellectual property.” Expect no sympathy when unexpected surprises become apparent in your home, if you failed to pay for your own inspection. Make no mistake that encouraging a buyer to depend on a report, written 6 months prior, for another buyer, is a bad idea. However, I enjoy giving everyone the benefit of the doubt that they don’t understand the implications. I am not going to report, or sue anyone. I am not going to belittle anyone who calls me with questions about a report they did not pay for. I would rather educate everyone on the seriousness of this mistake. Look at the photo below. There are some obvious defects here. Ignore them for the purpose of this article. Notice the ground looks fairly dry. Remember, I am not focusing on the other defects here. Now look at this photo below that was taken two days later. This is the same column in the photo above. Notice the difference? It is sitting in a huge puddle of water now! The whole crawlspace was flooded. Where did the water come from? The ground. Luckily for me, I went back with a crawlspace expert to get some opinions on the array of defects I had found during the original inspection. When I went back though, a whole new, and serious problem had presented itself. 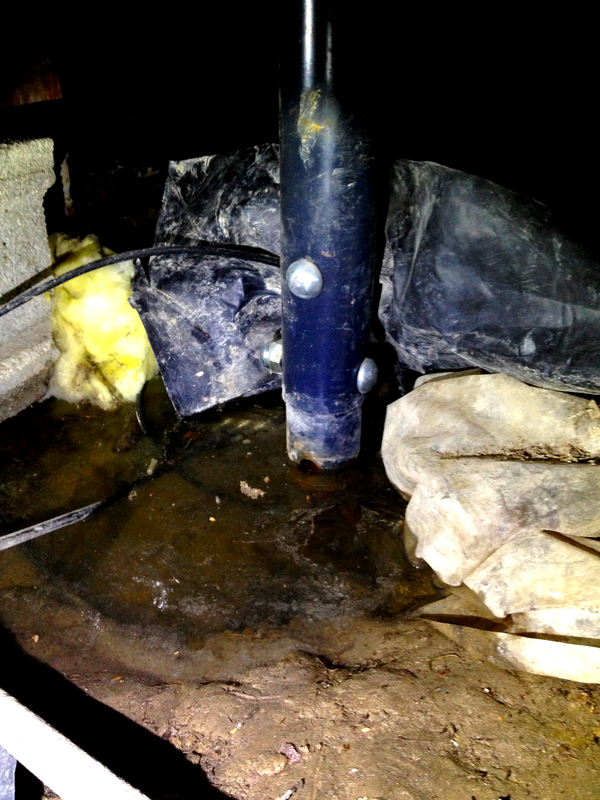 In two days time, the condition of the crawlspace was much different, and worse, than we had originally thought. It should now be easy to understand why relying, or encouraging others to rely on an old report is not prudent. To be blunt, it is foolish. Make sure a new inspection is performed for every buyer.